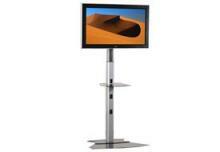 Our line of LCD stands and shipping cases offers something for everyone, no matter your budget! Liven up your trade show display with one of our single or dual monitor LCD stands, available in a variety of sizes and color options. Styles include mobile, standing and foldable models. We also offer a portable display unit from TADD, the only fully portable, self-standing audio/video display kiosk that ships in its own case. 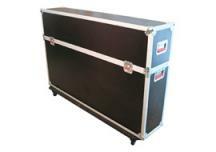 Cases include many options for holding a variety of LCD monitor sizes. Find roto molded, Tempo LCD/Plasma TV, dual monitor, Express II LCD/Plasma Transport, Goliath LCD/Plasma TV, TSE Argus LCD/Plasma TV shipping cases and more. Show off and protect your display monitors with the best of the best. Call us with any questions at 866-764-2968.